Taking a walk in one of Philly’s many parks is a fantastic way to step into fall, meet neighbors, and improve your health. 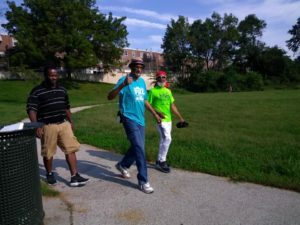 We Walk PHL, a FREE walking program in parks around the city brought to you by Get Healthy Philly, the Fairmount Park Conservancy, and Philadelphia Parks and Recreation, kicked off its fall season the week of September 2-7! This fall, We Walk PHL is piloting an additional 5 sites which means there will be walks in 10 parks, making the program even more accessible for all! or email wewalkPHL@gmail.com for more information! 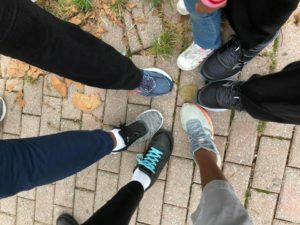 We Walk PHL seeks to increase positive use of Philadelphia’s parks, encourage active living, and create opportunities for people to pursue wellness goals while connecting with their neighbors. All Philadelphians with an interest in walking (and rolling) are welcome. Male or female, young or old, walking or rolling— ALL people are encouraged to participate. It’s effective in improving many aspects of health. Regular walking can improve sleep and boost energy levels. It’s accessible for all ages and abilities and available just outside your door. “Walking” includes “rolling” for people in wheelchairs or using assistive devices. Walking decreases depression, anxiety, and stress levels. It’s our favorite price – FREE! All you need are comfortable shoes and you are ready to walk. We Walk PHL fall season will be coming to an end pretty soon. In fact, We Walk PHL will be wrapping up walking groups in just two weeks! However, this does not mean stop walking. Some walking groups will informally meet, so keep an eye out on the Facebook We Walk PHL group. All are welcomed to join and most importantly to walk !!! We’ll see you for a walk in the park!